Rafael A. Triunfel is a New Jersey licensed criminal lawyer who is dedicated to defending his clients. He is a passionate advocate and proven negotiator who will work hard on your behalf. His mission is to fight for and protect your legal rights, while providing strong options at each step of the process. If you or a loved one has been arrested and needs the help of an experienced Criminal Defense, Domestic Violence, or DUI attorney, contact Rafael A. Triunfel for a free consultation. When accused of any crime in the State of New Jersey, it is very important that you stop all communication with the police. An experienced criminal lawyer like Rafael A. Triunfel should be consulted as soon as possible to protect your rights and defend you against further police actions or court orders. Below are a some examples of criminal charges with special considerations. Driving Under the Influence (DUI DWI) – You must attend a hearing with court officials within the prescribed timeframe or your license will be automatically suspended. At this hearing, your DUI lawyer will attempt to save your license. Domestic Violence – It is prudent to speak to a domestic violence attorney before communicating with the so-called victim. A No Contact Order may be issued immediately and a violation is an additional criminal charge. Assault Charges – False or exaggerated accusations are common. Self-defense can be an important defense strategy. The evidence was gotten during an illegal search & seizure. The defendant was enticed into committing a crime that they generally wouldn’t commit (entrapment). Probable cause to search a person, their vehicle, or their home was not established. The search warrant was gotten or used unlawfully. The evidence was gained by a police informer (informants sometimes lack credibility or have questionable motives). In cases where there is strong evidence against the defendant or a confession was made to the police, hope is not totally lost. 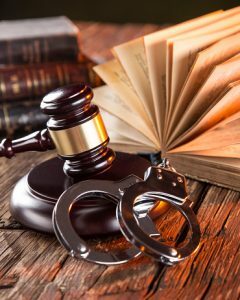 New jersey has several programs for first time offenders and your Criminal Law Attorney will help to mitigate your potential penalties or sentences. These special programs focus on drug treatment, as an alternative to a long-term prison sentence. Your criminal defense attorney should be knowledgeable with these different programs, as acceptance is not automatic or guaranteed. Depending on the facts of your case, a lawyer like Rafael A. Triunfel should advise you on which programs are available and are good for you. New Jersey severely prosecutes theft charges. Even a first-time offense can result in jail time, fines, and probation. A conviction for theft or shoplifting can result in the loss of your job or the denial of a future job opportunity. This is because theft associated crimes are considered “crimes of dishonesty.” A theft conviction can also stop you from obtaining housing, professional licenses, security clearances, and college admission. For non-US citizens, immigration consequences can result in deportation. A shoplifting charge can also result in a civil lawsuit initiated by the retail establishment. Larger retail chain stores commonly file lawsuits, even when the dollar value of the merchandise is under $100. If a settlement is negotiated with the business owner, the criminal case can sometimes be dismissed. Under this law, the court may (at its discretion) dismiss the criminal case, if your defense attorney can provide evidence that the merchant has accepted restitution. In New Jersey, there are diverse degrees and penalties for theft, depending on the value of the property and if you were a juvenile at the time of arrest. As you can see below, maximum penalties for adults are very severe. A theft attorney like Rafael A. Triunfel should be contacted as soon as possible to prepare a defense and prevent you from making implicating statements to the police or the court. The prosecuting attorney in a theft case must demonstrate that you did not accidentally take the merchandise or other property. Establishing criminal intent and obtaining evidence that you stole property can be a problematic task for prosecutors. Additionally, witness accounts of the alleged crime are often untrustworthy and this can work in your favor. An knowledgeable theft attorney like Rafael A. Triunfel can raise arguments that weaken the case against you.